According to professionals, coloring created through the context of a therapeutic-based relationship is highly effective in aiding children through the process of self-exploration, coping with various types of disabilities, and aiding in the management of emotions. Coloring therapy is more than just child’s play. Therapists that specialize in this type of art therapy work to assist kids in visually expressing themselves, recording various life experiences, understanding their perceptions, touching base with their feelings, and using their imaginations. 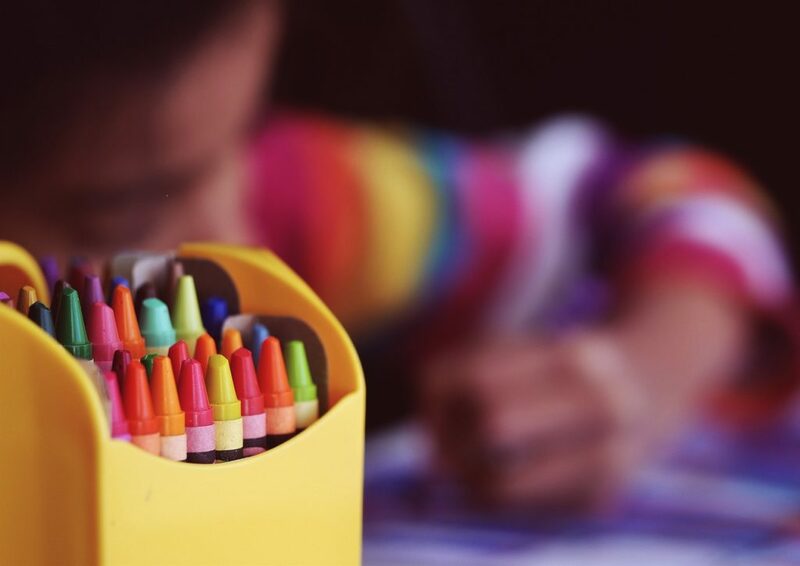 These professionals place a special emphasis on different types of coloring media and coloring-based approaches to optimize a child’s unique ability to effectively communicate through the process of creative expression. In this brief guide, you will learn how coloring therapy works. Conclusive research has allowed us to learn that expression through coloring is a fun, non-verbal form of communication. While all children may benefit from being able to communicate in a non-verbal fashion, this is especially important to kids that have complications when it comes to articulating thoughts, expressing sensations, telling what types of emotions that they are experiencing, and relaying their perceptions. Coloring helps a child to convey information that may be challenging for them to express with actual words. Coloring is also sensory-based. This means that when a child colors, they may experience themselves on a personal level and may aid in communicating in visual, tactile, and even kinesthetic methods. Coloring helps a kid be “heard” and “seen”. According to those that specialize in neurobiology, coloring offers certain types of sensory-based characteristics that are highly useful when it pertains to mood improvement, the integration of the senses, relaxing the mind, calming the body, and balancing the emotions. Kids that are subjected to coloring therapy are able to quickly and easily express metaphors through their art. Kids that color as part of a therapeutic regimen have been found to develop the skills that are necessary to share experiences through narratives and even seemingly-imaginative stories. Kids that are encouraged to share stories through drawing, painting, and other types of coloring therapy are – most often – better able to express themselves and share their life experiences. This is a wonderful means of obtaining details from all kids; but, especially those that suffer from learning disabilities, emotional disorders, and emotional issues from traumatic experiences. Coloring therapy is a type of art therapy that is becoming increasingly popular among professionals, educators, and even parents. If you feel that your child could use improvements in communicating themselves or their feelings, are interested in optimizing the growth or development of your kid, or want your child to open up to you, you should consider providing them with multiple opportunities to color. You may purchase coloring books, download free coloring pages from the internet, or have them color through digital-based coloring programs – the choice is yours!